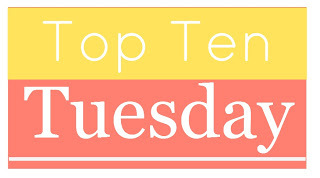 The Top Ten Tuesday theme this week is 10 Of My Most Recent 5 Star Reads Or Ten Of The Best Books I've Read Recently. Since I only rarely rate books five stars I'm going with the latter title. These are all books that I've read within the last few months or so and really enjoyed. I enjoyed some of the stories in Five Glass Slippers more than others, but overall I thought it was a really good collection. I need to get around to Katherine Reay's books. I keep hearing great things about them! I haven't read any of the books on your list this week. I'll be adding a few of the book titles to my ever growing reading wishlist.